The purpose of this Plan is to define actions to be taken by Club personnel (including adult employees, directors, or coaches) in the event of a crisis or emergency occurring at the Club, or at Club-sponsored events at other facilities. All such persons are expected to have read and become familiar with this Plan. If more than one such person is present at the site of the crisis, the group shall immediately establish the person “in charge” and make every effort to provide all needed assistance and follow directions until the crisis has passed. If the Executive Director is not on site at the time of a crisis, the person in charge should contact, or arrange for another person to contact, the Executive Director by telephone to apprise him or her of the situation. Similar attempts should be made to contact the president of the Club. Such contacts should occur only after necessary contacts to emergency services have been made. If necessary, the person in charge should obtain necessary information from eyewitnesses. Relying on second-hand information is discouraged. This Plan recognizes that situations or events may occur for which it may not be obvious whether they fit the definition of a “crisis” or “emergency.” In such situation, persons in charge should act as though a crisis exists and take every precaution against worsening the situation, rather than delay taking action that might later be proved to have been crucial. This includes summoning emergency response personnel. Emergency response contact information shall be prominently posted near the telephone inside the Club office and on the outside of the Club building. 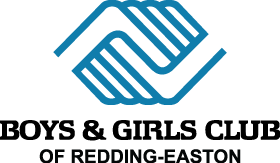 Contact information shall include “9-1-1” as well as direct telephone numbers for Redding Police, Redding Ridge Fire Department, and the Redding Animal Control Officer. Certain types of crises or emergencies, such medical emergencies, may be noticeable only to persons in the immediate vicinity, rather than to everyone on the premises. (For example, a serious injury occurring on one field may not be noticed by those on other fields.) In situations where a crisis is confined to a small area, the person in charge should make reasonable efforts to keep persons in the immediate vicinity from spreading misinformation or a sense of fear or panic to others. Since the arrival of emergency personnel will likely be noticed by everyone on the premises, the person in charge should enlist the assistance of others as necessary to maintain general calm and order and to convey accurate information about the emergency as appropriate. In the event that a crisis or emergency results in the need for communication to the public through the news media, only the Executive Director or the President of the Club is authorized to communicate on behalf of the Club. Club staff and team coaches are expected to know the location of first aid supplies and be able to obtain access to them if needed. No one who is not properly trained should attempt to fight a fire. In the event of a very small fire, only persons who have been trained in the proper use of fire extinguishers should attempt to put out the fire. Instruct all persons to go to car and keep windows rolled up. The Pavillion is not a safe location during a Severe Weather Event. If the person in charge determines that it is not safe to return to cars, then assembly should take place inside the Club building. Motor vehicle accidents affecting the Club have the potential to occur on Club premises (parking lots or interior driveway) or on Cross Highway immediately in front of Club property. Record information such as description of the vehicle, license number, etc. Accidents involving Club maintenance vehicles (tractor, lawn mower) should be treated in the same way as any other type of motor vehicle accident. Persons in charge of or assisting with the handling of a crisis or emergency should recognize that the incident may be the subject of a later investigation by police, fire, or insurance company personnel. Therefore, it is potentially of extreme importance to the Club that those involved in dealing with a crisis make a written record describing their recollection of the event as soon as possible, while it is fresh in their memories. Such a record need not be formal in any way, but it should be as complete and detailed as possible (see Emergency Incident Record form, attached). Recording descriptions of a crisis or emergency should be considered a necessary final step in properly dealing with the situation or event.